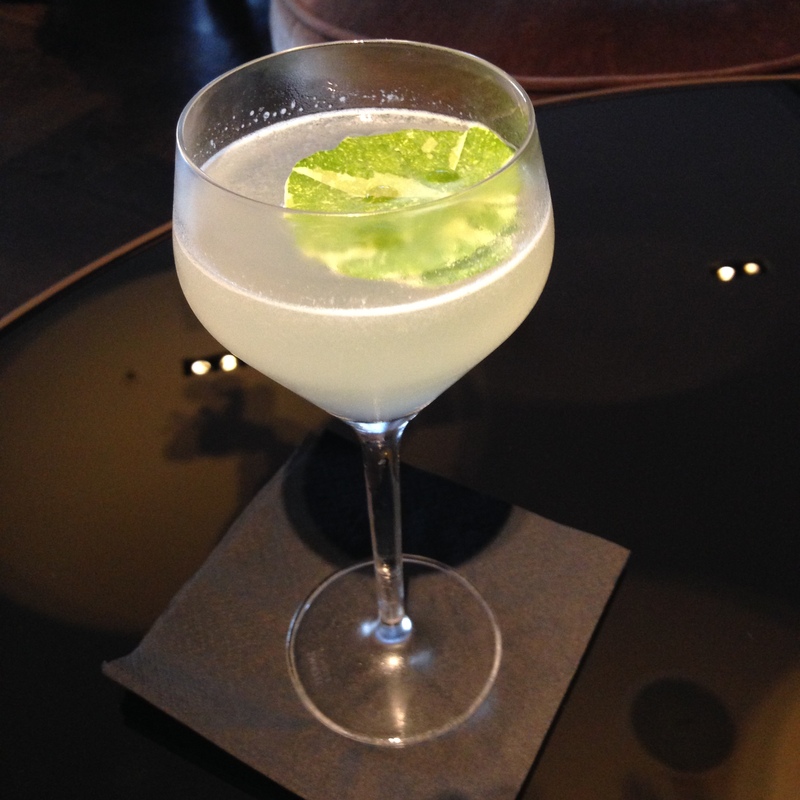 Crazy for Cocktails – London’s Finest! This week has been incredibly busy at work and as a treat I do enjoy a well made cocktail. The experience of drinking the result of interesting ingredients, creatively combined and beautifully displayed by the bartender or mixologist is amazing. It’s like a symphony in a glass! This weekend I am hoping to get down to London Cocktail Week so thought I would share two great cocktail experiences I had this year. 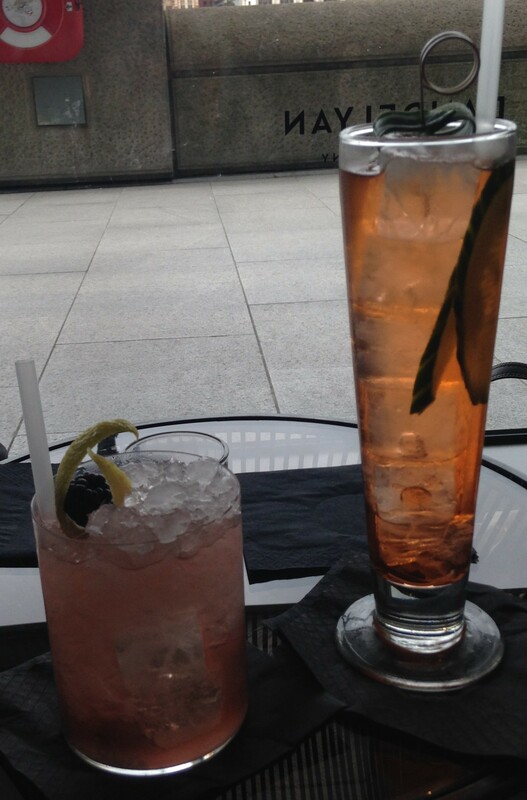 In July, I visited Sky Pod Bar at Sky Garden (20 Fenchurch Street, London EC3M 3BY). This bar is on 35th floor of the building known as The Walkie Talkie. You get the opportunity to eat & drink with a wonderful view of London. We had a Lemon Pie Martini: Ketel One Vodka, limoncello, lemon pie syrup, lemon juice & lemon curd. It tasted sweet, with a sharp tang of lemon – a dessert in a glass! We also had a Pink is the Question: Ciroc Vodka, green apple liqueur, blueberries & lime juice. It tasted sharp, fruity and very pink especially with the candy floss decoration. We then had a delicious lunch at the Darwin Brasserie, a perfect way to celebrate Lorraine’s birthday. In August I visited Dandelyan at the Mondrian London Hotel at Sea Containers (20 Upper Ground London SE1 9PD) near Waterloo. This is the second bar from the amazing and innovative Ryan Chetiyawardana A.K.A Mr Lyan. It won Tale’s of a Cocktail Award for Best International Cocktail Bar so we know we are in for a great cocktail experience. The cocktail menu is inspired by the woodland with cocktails categorised under pine, oak, birch, boozeless and classics. We tried a Place Between The Pines: Beefeater London Garden, pine cordial, lemon, Fino Martini Extra Dry. Also a Bjork Can Sling: birch charcoal, birch beer ‘vermouth’, Aperol, cucumber and soda. They both had an amazingly complex taste and really refreshing with a unique aftertaste. The pine & birch elements were subtle and delicious. We then had our favourite of the night – Catkin – Mr Lyan’s gin, blackberry, lemon, birch wine and leaf, mint and caraway. The ingredients might sound a weird mix but this was one of the best cocktails I have ever drunk. It was incredible and words cannot describe it so I suggest you go there and try it yourself! 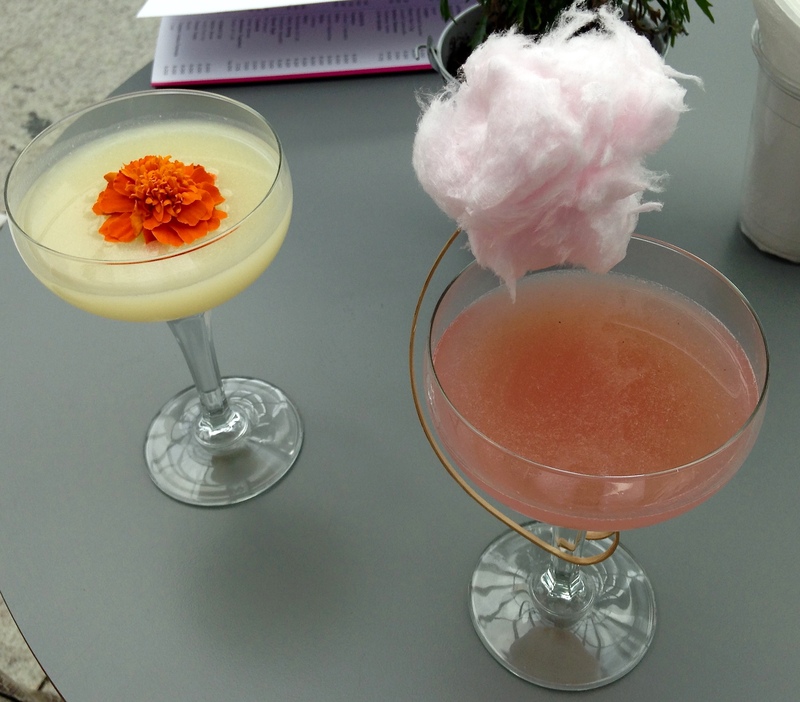 We really enjoyed our creative cocktails – definitely London’s finest!